Beypore beach has an interesting mix to offer to those who reaching here as a part of a greater Kozhikode tour. On the plus side, this is a beach with potential. It is scenic and the waves are not too harsh for a good swim. And rustic charm is pervasive even though concrete structures have sprung up here and there. However, maintenance is a let down. It is saddening to see a great beach left with litter and lamp posts in disrepair. 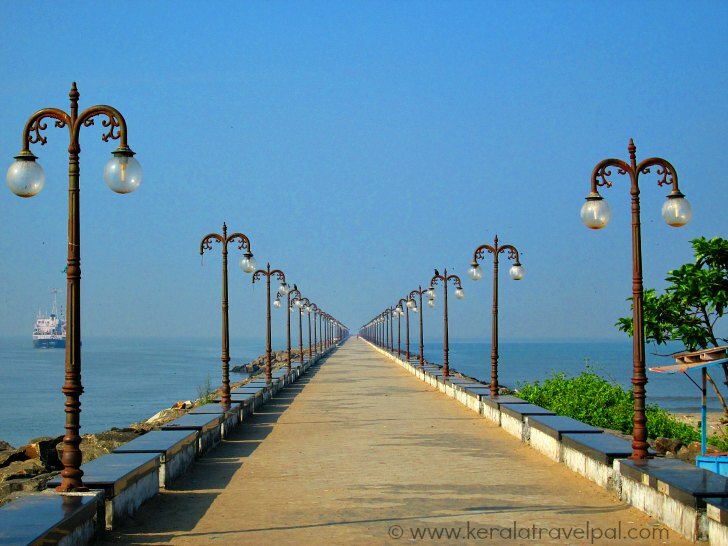 Beypore beach is one of the well known tourist spots in Kozhikode. Not so well known are the near by places such as Chaliyam, Kadalundi and Vallikkunnu where you will find a few good beaches and plenty of birds. The major attraction of Beypore beach is Pulimuttu, a rocky pier. The simple structure of piled up rocks is converted to a walkway. It extends to about one km into the sea. A walk over this pier is fascinating as waves and wind transport you to a world of their own. No doubt the ocean walkway is a popular short cut to rejuvenation. Creating a spectacle of beauty, River Chaliyar joins the sea just near the beach. After flowing through coconut groves and feeding paddy fields, the fourth largest river in Kerala, settles gracefully into the receiving hands of mother Ocean. Chaliyar, a part of Kozhikode backwaters, is the perfect getaway spot for canoe and boat ride fans. Beyond the beach, Beypore is a trading and fishing harbor. This ancient export centre of Kerala spices traded one local commodity that was quite extra ordinary – large wooden ships. Skilled workers of Beypore built ships as early as 1500 years ago. Large Arabian Vessels called Urus were meticulously constructed with bare hands. Passion, calculation and ardour teamed up to create successive generations of larger and faster Urus. Happy customers poured in orders that fed the thriving ship building industry for several centuries. Beypore Urus were in great demand among Arabs, Chinese and the folks of Western Asia. Long distances could not prevent them to reach here to give ship orders. 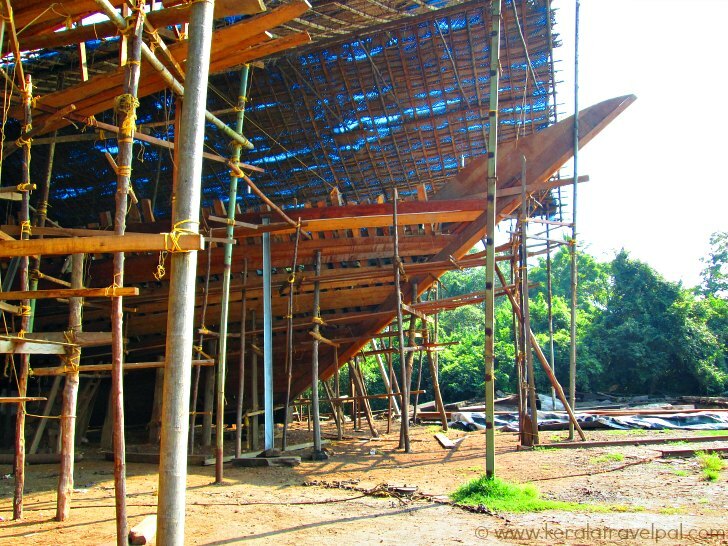 In a changed world of modern ship building, Beypore wooden ships are confined to a specialised niche. A few clients seek Urus, even nowadays. That keeps manual ship building industry afloat, albeit at a lower pace. Beypore trip is incomplete without a visit to the ship building yard, where every monster vessel is painstakingly handmade. A machine free ship yard! You can also buy miniature ship souvenirs at Beypore or from a few craft emporiums at Calicut. Kadalundi is the neighbouring region where nature has taken things a bit further to create hills alongside wetlands. The land of mangrove forests, beaches and rivers is ever pleasing. Birds discovered here long before humans. Now people reach here to see them at Kadalundi bird sanctuary, located just a few kilometres away from Beypore beach. Chaliyam is an unspoiled beach near Kadalundi. It is a great runaway spot, to briefly escape the clutches of modern life. A stunning beach is left with none other than a few fishermen who live in the green neighbourhood. Chaliyam to Beypore Jankar service is an inexpensive and excellent way to capture the beauty of the wider vista. Jankar can carry up to 150 tonnes, including large vehicles. Boat service from Chaliyam covers Kadalundi Bird Sanctuary, Beypore, Feroke and Vayoor. The scenic ride is great by its own, and then there is the possibility of spotting dolphins. Coconut Island at Vayoor is just along the boat’s route. Still privately owned, it is a good spot to settle for a few hours to enjoy, in case you are riding the waters nearby. Located near Chaliyam beach, the light house is a guiding presence for those out at sea. The heritage structure is still functional. A climb to the top is never disappointing as the view of Beypore and Chaliyam coast is quite pleasing. The absence of beachside accommodations is a major inconvenience that keeps tourist numbers low at Beypore. For Beypore beach holidays, stay has to be organised at Kozhikode. The city has plenty of comfortable stay options ranging from budget to luxury. 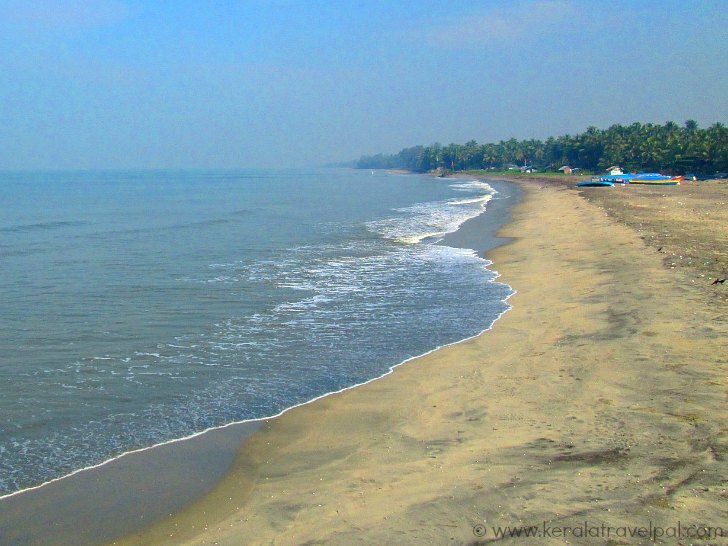 Beypore beach is 10 kms to the south of Kozhikode City. If traffic does not play up, travel from the city to here takes less than half an hour. Regular bus services connect Beypore to Kozhikode City. Taxis and Auto Rickshaws are also easily available for hire. Food Options : A few stalls and eating places available near beach. Many restaurants in Kozhikode City. Accommodation Options : No accommodations near the beach. Many hotels and lodges in Kozhikode City. Nearby Attractions : Kozhikode City (shopping & eating), S.M. Street, Kappad Backwaters, Chaliyam beach, Sasya Sarvaswam, Kadalundi Bird Sanctuary, Thusharagiri Waterfall, Kakkayam and Thali temple.